Studies > Medical Articles > A Flash in the Pan? Matthew N. Contino, DPT, owner/president of Stride Physical Therapy and Rehabilitation, graduated with honors from Sacred Heart University with a Bachelor of Science degree in psychology and a Master of Science degree in physical therapy. He received his Doctor of Physical Therapy degree from Massachusetts General Hospital Institute of Health Professions graduating at Harvard. In addition, Dr. Contino completed his orthopedic clinical affiliation at the prestigious Alabama Sports Medicine and Orthopedic Center headed by the world renowned James Andrews, MD and Kevin Wilk, DPT. As well as a physical therapist, Matt is also an A.C.E. certified personal trainer and has traveled to numerous facilities throughout the country as a guest lecturer on topics such as post-rehabilitation and kinesiology. He has also spoken on the national stage at major fitness conferences such as IHRSA and Club Industry. In his physical therapy practice, he works with a wide spectrum of individuals ranging from professional athletes to geriatrics. 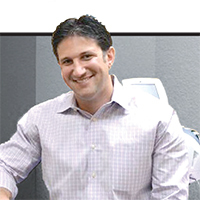 Dr. Contino specializes in post-operative rehabilitation and sports injuries of the knee, shoulder and elbow as well as possessing a strong interest in manual physical therapy techniques for the lumbar and cervical spine. Dr. Contino is an active member of the Orthopedic Section of the American Physical Therapy Association.